Part of a campus wide modernization program, the Center is named after actor, director and Conservatory Theatre Ensemble (CTE) founder Daniel Caldwell. 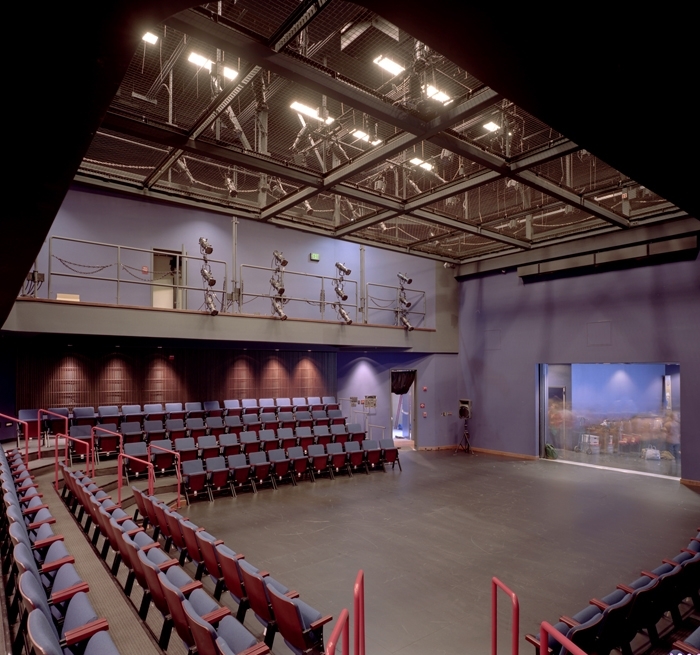 This 10,000-square-foot theatre building included a 185-seat thrust/arena theatre with complete support and teaching facilities and is separated from the newly-renovated and significantly upgraded multi-use theatre/gymnasium facilities in the Ruby Scott Auditorium by a shared scene shop and storage area. This signature building, completed in 2006, includes sustainable design, flexible seating and state-of-the-art technology and amenities all housed in a facility designed to fit a small wedge-shaped area at the southern end of the campus. Auerbach Pollock Friedlander provided full-scope theatre and audio-video consulting services for both venues which also share a lobby, box office and concession area. The combined facilities also include a green room and rehearsal studio. The Center serves CTE productions and new works as well as collaborative efforts with the Marin Theatre Company, a local professional repertory theatre with their own facility also designed by Auerbach Pollock Friedlander. The acoustical renovation of the Ruby Scott fits well with its arts programming, including choral concerts and the school’s orchestra. Local community groups also have access to the performance venues.